A FORMER MacRory Cup-winning captain was buried in his final resting place alongside in wife in Co Down yesterday after the couple made the journey home from the US. 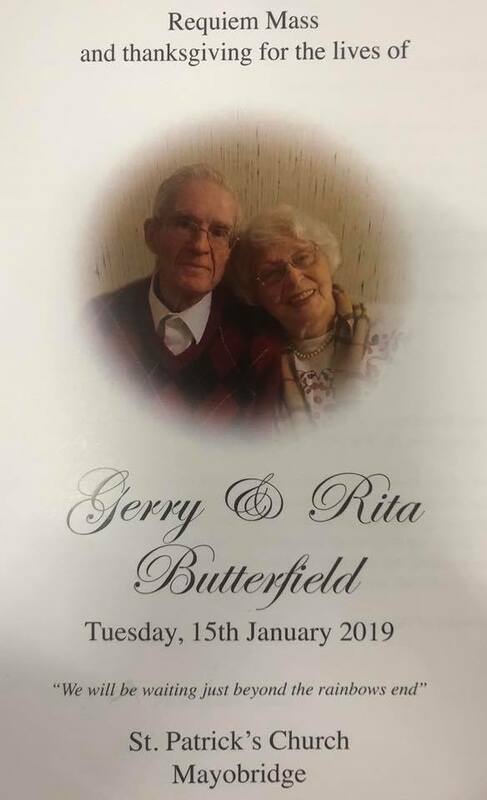 Requiem Mass for Gerry Butterfield, who passed away on November 9, and his wife, Rita Butterfield, who passed away on October 4, took place at St Patrick’s Church in Mayobridge near Newry before their ashes were laid to rest together in the adjoining cemetery. Married for 33 years, Gerry passed away just four weeks after Rita,who was originally from Ballycroy in Co Mayo. 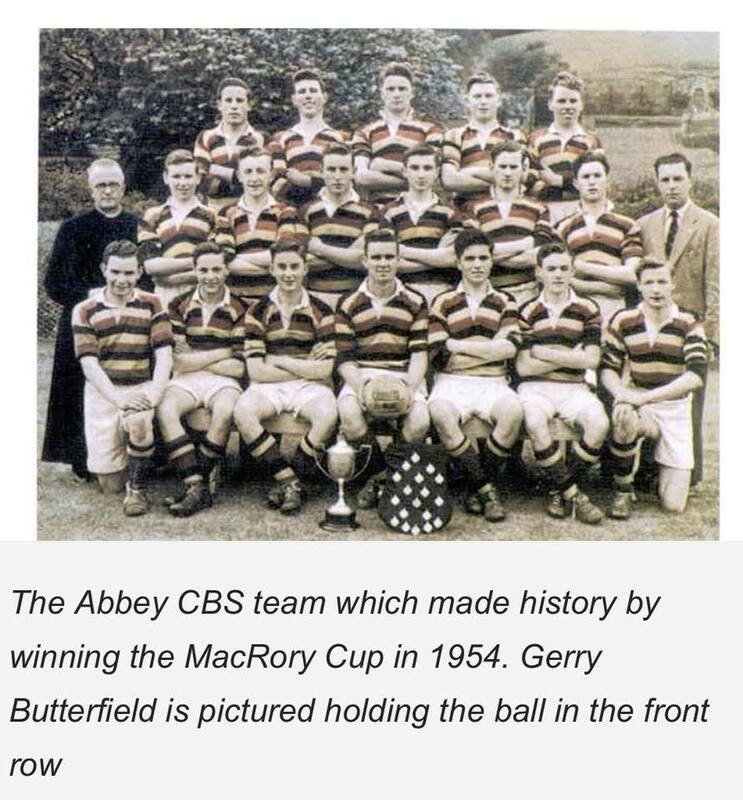 A native of Mayobridge, Mr Butterfield’s name is well known in Co Down as a talented former GAA player both with his home club, Mayobridge, and briefly with Down. As a teenager he was a key member of the Mayobridge senior team which went through the 1953 season undefeated. As a pupil at Abbey CBS in Newry he was selected as captain of the MacRory Cup side which made history as the first school exclusively for day pupils to lift the famous trophy. It was said that Gerry was instrumental in the victory. As a young man, Gerry, who had eight children with his first wife before the marriage ended and he remarried Rita, had earlier emigrated to Cleveland in the US where he served in the army for a time before working as an accountant. Ten members of the family accompanied the couple’s ashes home from the US. 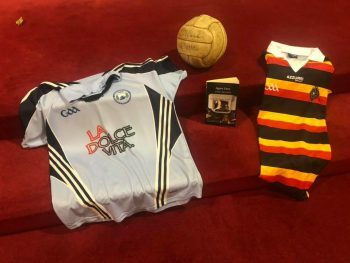 Yesterday, during the Requiem Mass, items representing Gerry’s GAA career were brought up as gifts during the offertory. 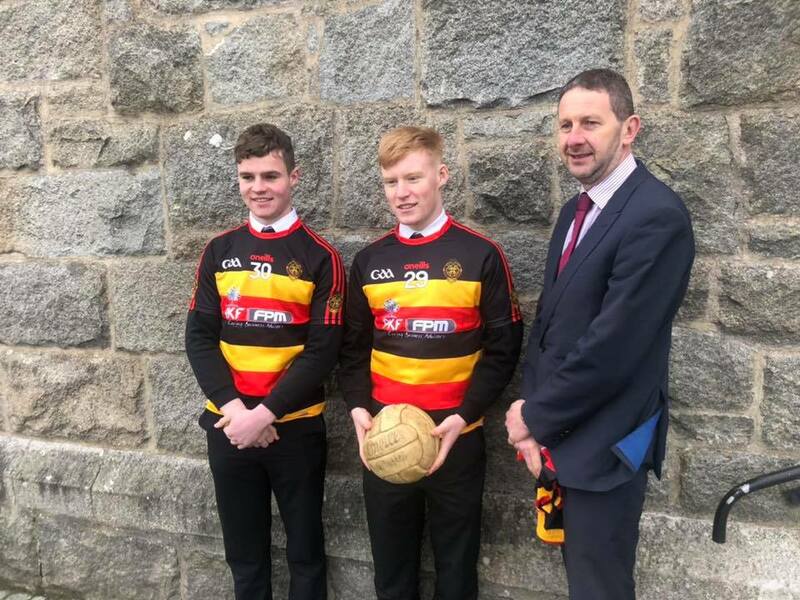 They included the original match ball from the 1954 MacRory Cup game as well as the current Abbey Grammar School MacRory Cup jersey. The Mayobridge GAA jersey was also presented as a gift. A number of pupils from Abbey Grammar School, who are on the school’s current MacRory Cup team, also attended the Mass.